14 September 2017 – Yesterday, the European Parliament adopted a resolution urging EU Member States to improve the implementation of the EU Common Position on Arms Export. The resolution calls for more transparency, a supervisory body and a sanctions mechanism for those Member States not following minimum requirements. It re-iterates the urgent need to impose an arms embargo on Saudi Arabia. EU resolution comes after the recent report that the United Kingdom (UK) exported almost £ 3.6 billion worth of arms to Saudi Arabia since the conflict with Yemen began. But the UK is not the only one: arms exports to the Middle East rose by 86 % between 2012 and 2016– Saudi Arabia has imported 212 % more than over the previous five years, the United Arab Emirates up 63%, Qatar up 245% and Kuwait up 175%. During the same period international transfers of major weapons reached the highest volume for any five-year period since the end of the Cold War. The EU emerges as the second largest arms supplier in the world (26%), after USA (33%) and before Russia (23%). Alarmed by the fact that European weapons reach countries which are engaged in armed conflict or use imported weapons for internal repression, such as Saudi Arabia, MEP Bodil Valero, a Swedish member from the Green block, called to review the implementation of EU’s rules on arms exports. The current EU Common Position 2008/944/CFSP lists 8 criteria that all EU countries have to assess before issuing arms exports licences, including respect for human rights and international humanitarian law by the recipient country, preservation of regional peace, security and stability or the attitude of the buyer country to terrorism. For instance, EU Member States shall not grant licenses if there is a clear risk that the military technology or equipment might be used “for internal repression” or “against another country or to assert by force a territorial claim”. The resolution, titled “Resolution on arms export: implementation of Common Position 2008/944/CFSP”, was adopted by 386 votes to 107, overcoming opposition from the conservatives. During Tuesday’s debate in Strasburg, members of European People’s Party (EPP) and European Conservatives and Reformists (ECR), had expressed their strong opposition to the text stressing the vital importance of national sovereignty and Member States’ right to self-defence. On Wednesday, ECR voted against the resolution while EPP’s official position was merely to abstain, moving away from its previous position to strictly oppose any call for an arms embargo against Saudi Arabia. In the resolution, MEPs criticise Member States for violating EU’s common arms export control system by providing weapons to countries that used them in armed conflicts or for internal repression, such as Saudi Arabia in Yemen. They condemn Member States conflicting decisions on arms export, and in particular the lack of a common approach to the situation in Syria, Iraq and Yemen. MEPs deplore that some Member States have continued supplying military technology to Saudi Arabia despite the fact that it is being used in the conflict in Yemen. They stress that “exports to Saudi Arabia are non-compliant with at least criterion 2 regarding the country’s involvement in grave breaches of humanitarian law as established by competent UN authorities”. MEPs also declare that such exports violate criteria 4, 6, 7 and 8 of the Common Position. They therefore re-iterate the call from the resolution of 25 February 2016 on the humanitarian situation in Yemen, and urge EU foreign policy chief Federica Mogherini to impose an arms embargo on Saudi Arabia, noting that “the situation in Yemen has since further deteriorated also due to military action carried out by the Saudi-led coalition”. The European Parliament expresses similar concerns “about possible diversions of exports to Saudi Arabia and Qatar to armed non-states actors in Syria who commit serious violations of human rights law and humanitarian law” while acknowledging that “most of the arms in the hands of insurgents and terrorist groups have come from non-European sources”. to create effective post-shipment controlsto ensure that arms are not being re-exported to unauthorised end users. ECDHR strongly welcomes the European Parliament’s resolution and the reiteration of the urgent need to impose an arms embargo on countries that are accused of serious breaches of international humanitarian law, in particular Saudi Arabia. While the vote does not compel EU Member States to act, it highlights that public scrutiny and awareness slowly pressure States to stop selling arms that fuel conflicts in the Middle East. 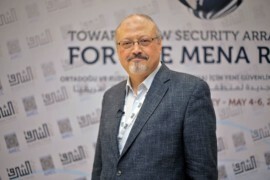 It is to be hoped that this important decision will encourage further debates in national parliaments and European Council’s actions, following the examples of Sweden and Netherlands, which decided to stop trading arms with Riyadh.